Geller Report: The title of the three-day summit, “A movement of humanity: the flow of migrants and news. Dialogue and communication for a culture of encounter,” highlights the media-based tone of the encounter, which seeks to implement Pope Francis’s call for a “change in mindset” regarding immigration. Opinion: Next weekend should be quite a show. The Catholic Pope surrounded by his Bishops to bring the Gospel of Jesus, wait … that is not what this meeting is about! This meeting is about Pope Francis’ prophetic voice, not on the Gospel, but on bringing Islam to Europe. Three days later on January 17, 2017, Seventy European nations met in Paris to affirm UN Resolution 2334, restating the two-state solution and condemn Israeli settlements in its own capital, proving the Bishop of Stockholm correct that people of all creeds and opinions are listening to him. I wonder what makes the pope think that he needs to voice his opinion on immigration? Why do they have a bishop in charge of social affairs? Of all of the news images showing the migrants, I never see any RC clergy present and tending to the spiritial needs of the masses. Tending to any needs for that matter. They seem to be more interested in politics. 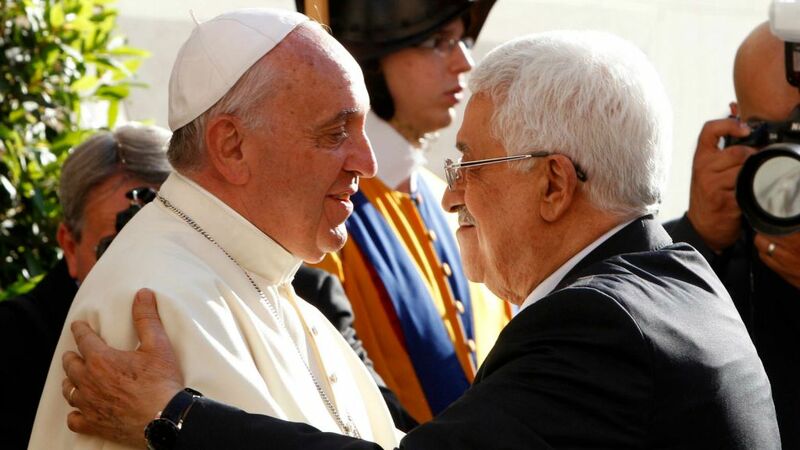 Maybe the Jews have infiltated the RC church and are conspiring to get all of the muslims out of the middle east and they have convinced the pope to pave the way?